Home Foods Coke vs. Pepsi-Which One Wins? Coke vs. Pepsi-Which One Wins? There are some people in the world who don’t think that there is a major difference between Coke and Pepsi, and there are some people in the world who are diehards for one or the other. The debate between Coke and Pepsi does not seem like it will ever end, and the only way to try and decide which one is the best option would be to compare a few key features about each one. Both Coke and Pepsi are pop, which means that neither of them are very healthy for you, but if you were to compare a 20 oz bottle of Coke and a 20 oz bottle of Pepsi, Coke would end up being the healthier choice, but not by much. A 20 oz bottle of Coke contains 240 calories while Pepsi contains 250. Coke also contains 65 g of carbs while Pepsi contains 69. But if you’re looking at total sugar inside a 20 oz bottle, then Pepsi contains less. Both Pepsi and Coke have been around for a very long time, and each one has made a name for themselves across the globe and built a massive empire. 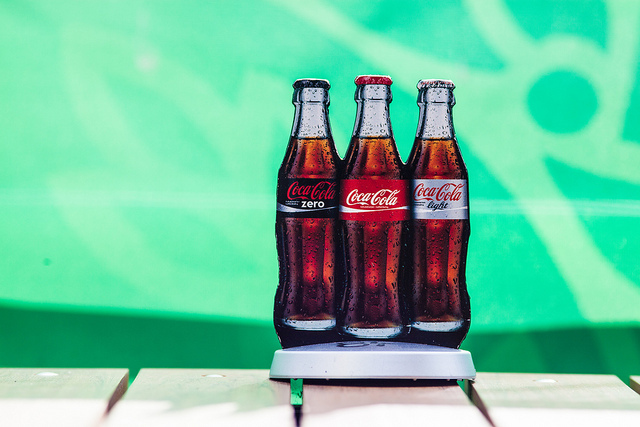 Plus, both Coke and Pepsi have other sodas under their belt too, which means that Coca-Cola and Pepsi enterprises are not only focusing on Coke and Pepsi. However, in 2011, Coke ended up having more stable finances than Pepsi by making more profits than they had expenditured. Pepsi, on the other hand, ended up in the hole in 2011, having slightly expensed more than they made. Both drinks have high levels of caffeine, but since Coke has more sugar, it also has more effects on your body. Too much caffeine is known to cause damage to your liver and heart, and it can also cause you to have major migraines if you drink it consistently and then stop. Coke has more caffeine than Pepsi, but each one contains a high level, so they both can do some major damage. Coke and Pepsi are both known to spend a great deal of money on their advertising efforts. While Pepsi tends to stick to humor or celebrity endorsements, Coke tends to play on the nostalgia of the brand in order to generate interest. Plus, they’re also known to run an array of holiday commercials too. Both Coke and Pepsi also sponsor a great deal of events and organizations, including major national events like the Super Bowl. Eventually, a person’s preference for one brand over the other will inevitably come down to taste. Since both are considered colas, some find it very hard to decipher a difference in taste between the two of them. Some people think that one is sweeter than the other, and some think that one leaves an aftertaste. Trying to pick a winner between Coke and Pepsi based on taste is not an easy task, and since the debate has gone on for years, it will only continue to go on. If you want to pick a winner based on finances, then Coke will prevail, but if you want to pick a winner based on levels of sugar and caffeine, then Pepsi will be the ultimate winner. Garrett Payne is a student at the University of North Texas. He studies hard and drinks soda to get his caffine fix every day.